Training isn’t just limited to your own employees. Your customers want your help to use your products to the maximum of their potential. 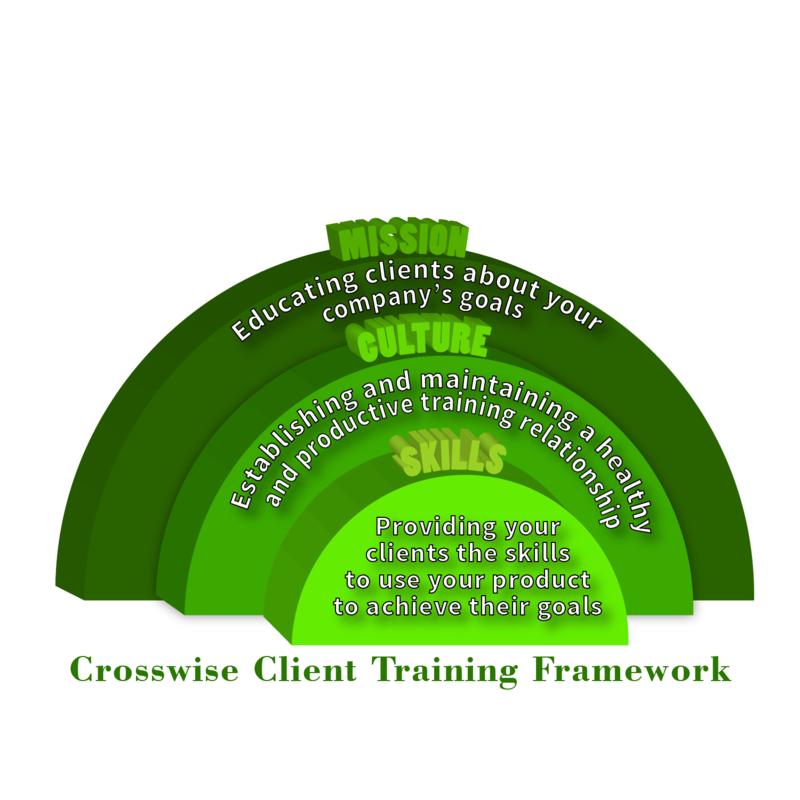 Crosswise has a customized model just for client training. Mission: Your client is educated about your company’s commitment to customer success. Culture: Establishing a healthy and open relationship to provide your client with the tools they need to succeed within the training. Skills: Your client learns how to best use your product to achieve their goals. Your client will understand your commitment to their success, acquire valuable skills, and have a smooth and pleasant experience. This investment will lead to a client happy to provide return business and eager to recommend your product to others. Fill out the Contact Form to get started on your client training plan.